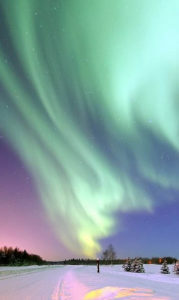 In some parts of Alaska, the Aurora Borealis can be seen an average of 243 days a year. Alaska does not collect state tax and has no individual state income tax. The 34,000 mile Alaskan coastline borders three seas: the Pacific Ocean, the Arctic Ocean and the Bering Sea. If you like crab, salmon, or halibut, you’re in luck. Most of these found in America come from Alaska. Worldwide Travel Staffing has jobs for you in Alaska! We are currently placing RNs of a variety of specialties in Bethel, Lab Technicians in Barrow, and Physical Therapists in Fairbanks. Corrections nurses are also in demand.